On Tuesday, the Senate released its budget. 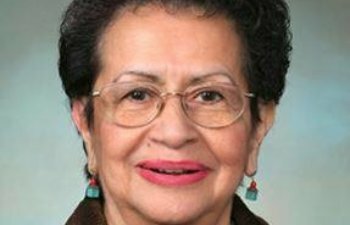 It included new, ongoing funding for public health, but no new funds for nursing faculty salaries nor for school nurses. 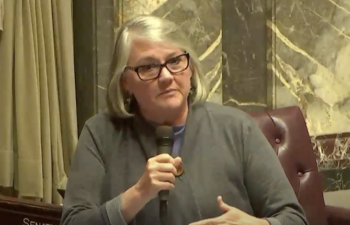 Now the House and Senate will enter budget negotiations to work toward a final budget that they can send to Governor Inslee. On Wednesday, the rest breaks bill (SHB 1155) was voted out of the Senate Ways and Means Committee. It now heads to the Senate Rules committee. Also on Wednesday, Governor Inslee signed HB 1497 into law, providing a framework for Foundational Public Health Services, as well as allocation instructions for any new state funding. Last week this email included news that the bill to raise the age to purchase tobacco products to 21 passed the senate. That bill was signed into law by Governor Inslee today! 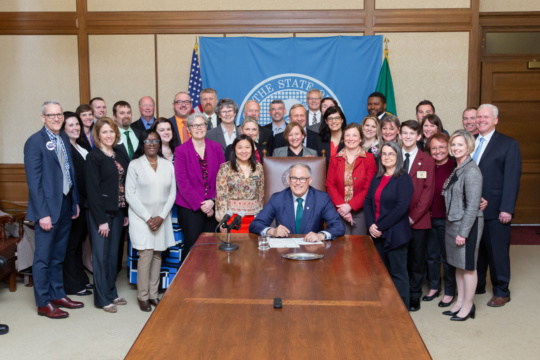 On Wednesday, Governor Jay Inslee signed HB 1497 into law, surrounded by public health advocates and stakeholders from across the state. WSNA was represented at the bill signing by Associate Director of Public Affairs, Travis Elmore, BSN, RN. HB 1497 provides a structure for implementing Foundational Public Health Services in Washington state by codifying these services and by requiring the Department of Health, local health jurisdictions and sovereign tribal nations to work together to determine how funds allocated by the state for public health are to be used. Both the House and Senate budgets allocate new money for public health, however the final amount is yet to be determined through the budget negotiations process. WSNA has been a strong advocate for public health funding for decades, and worked on this bill for the past four years - we join our public health colleagues in celebrating it becoming law. On Wednesday our rest break bill (SHB 1155) was voted out of the Senate Ways and Means Committee on a 13-10 vote! This bill now heads to the Senate Rules Committee for review. As this bill moves one step closer to becoming law your support and advocacy remain crucial to ensuring that this bill continues to make its way to the Senate floor! We know that when nurses speak, lawmakers listen! If you haven’t done so already, click here to tell your legislators to support rest breaks for nurses. Also, please visit the WSNA Facebook page where you’ll find a #BreaksAreALifesaver frame that you can apply to your own profile photo – you’ll find it at the top of our page. Encourage your friends, family members and co-workers to add this frame to their profile picture to show that they support rest breaks for health care workers! Our workplace violence bill HB 1931, was also heard least week in the Senate Ways and Means committee. 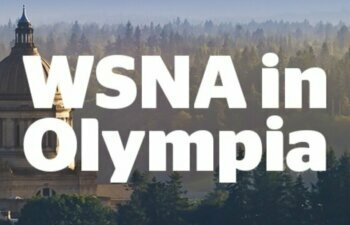 WSNA is working hard to ensure that this bill is voted out of committee by next week’s deadline. You can help by clicking here and sending your Senator a message in support of the workplace violence prevention bill – it takes less than a minute! Today, Governor Inslee signed into law the bill that raises the age to purchase tobacco products from 18 to 21. WSNA has supported this legislation for the past few years, and believes that it will help improve public health. 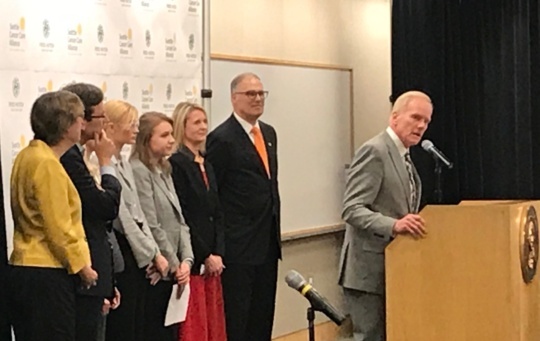 Rep. Paul Harris (R-17), bill sponsor of the Tobacco 21 legislation, speaks at the bill signing this afternoon as Governor Jay Inslee and others look on.